102EX (Phantom Experimental Electric), returned to the Home of Rolls-Royce Motor Cars in West Sussex, England this week following completion of its global test programme. 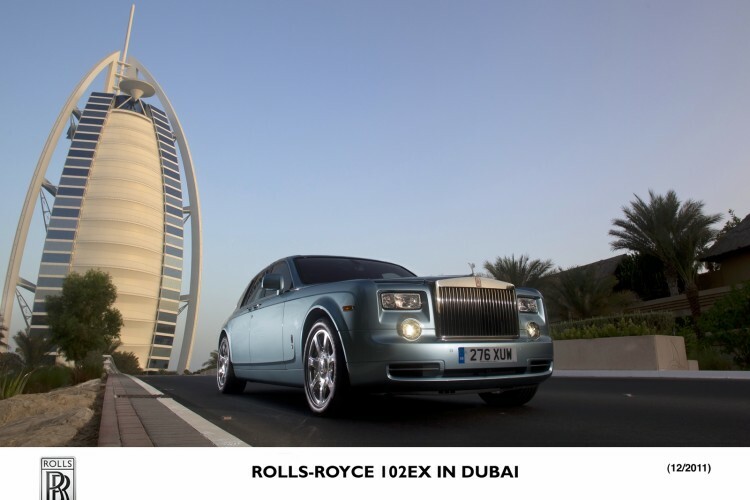 Since it was unveiled at the Geneva Motor Show on 1 March 2011, 102EX has undergone an intensive programme around the world, stimulating debate on whether electric motoring can deliver a true Rolls-Royce experience, and providing key insights from customers, thought-leaders and media. Market research is now being collated and the company will publish its findings in the first quarter of 2012. The one-off 102EX is built atop the Phantom bodystyle and will serve as a test bed to gather data which will be crucial in future decisions around electric models going into production. The 6.75-liter V-12 was replaced by a massive 71-kilowatt-hour lithium-ion battery housed within the aluminum spaceframe. 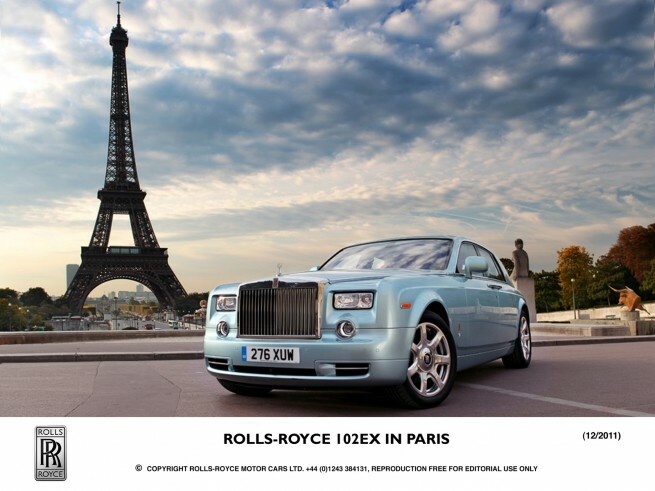 Rolls-Royce is using large-form NCM pouch cells, or lithium-nickel-cobalt-manganese-oxide to be exact. Due to its experimental nature, the 96 cells are separated into 5 modules (38-, 36-, 10-, 8-, and 4-cell units) and arranged in such a way that the overall battery takes on the shape of an engine and transmission. The battery weighs 1,411 pounds. The battery outputs 850 amperes at 338 volts to two electric motors linked to a rear transaxle. The single-speed gearbox takes each motor’s 145 kilowatts (194 horsepower) and sends up to 388 horsepower to the rear wheels. Given its electric nature, the two motors will have up 590 combined pound-feet of torque on demand. The 0-60 mph time is quoted as being under 8 seconds, and there’s a governed top speed of just under 100 mph. The driving range is said to be up to 124 miles.